Any idea of the pottery? I have searched previously, but no luck. Probably dates from the 60/70s which ties in with when my in-laws had a gallery in Dartmouth. 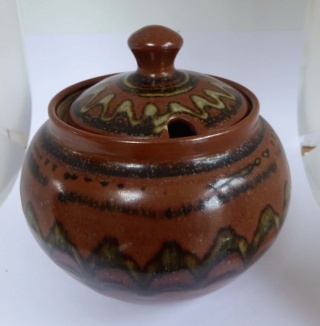 It could be from Winchcombe Pottery. I can't be certain but often they are lacking marks because it was a production pottery and things were missed. 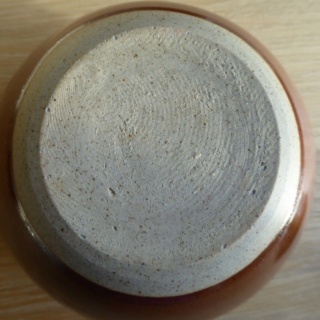 The stoneware body looks right, the shiny glaze is feasible and the knob on the lid looks right too.